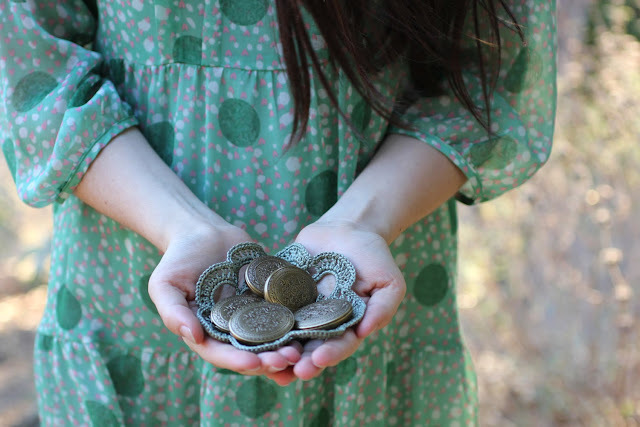 Aligned with inspired artists from all over the world today's post is one of a whole. Begun on June 24th, arm and arm with the Holistic Beekeeping post on the Etsy Storque, a Blog it Forward: BEE up was birthed. 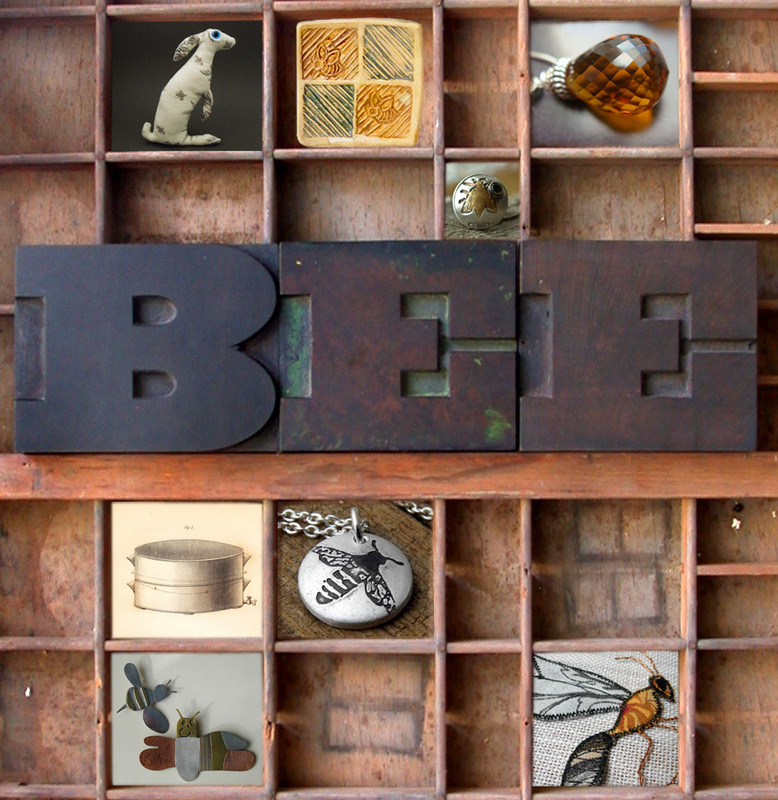 My esteemed Etsy Artisan Gallery Team members are celebrating the honey bee by bee-ing part of this chain of posts. The festivities also include handmade marvels and Etsy treasuries. Round and round we go, the earth spinning in the middle of the universe, while we humans attempt to learn the mysteries of life. Generation after generation, comes and goes and yet it seems that very little wisdom from the plant kingdom is honored. One such example is that of the plight of the little European honeybee. I just read recently in the UK Telegraph that in 1910, Britain had a million bee hives; today that figure is 250,000. In 100 years while, the human population explodes, we have a loss of 75% of our main pollinators. I'm sure this is good news to big corporations like Monsanto who want to control the worlds food supply. In the meantime, a few conscious humans are choosing to affect the pattern. Like Galadrial states in Lord of the Rings "Even the smallest person can change the course of the future." Like many of my Artisan Gallery team mates I too created a special item for this event, albeit I've run into a little snag in having it ready for today. 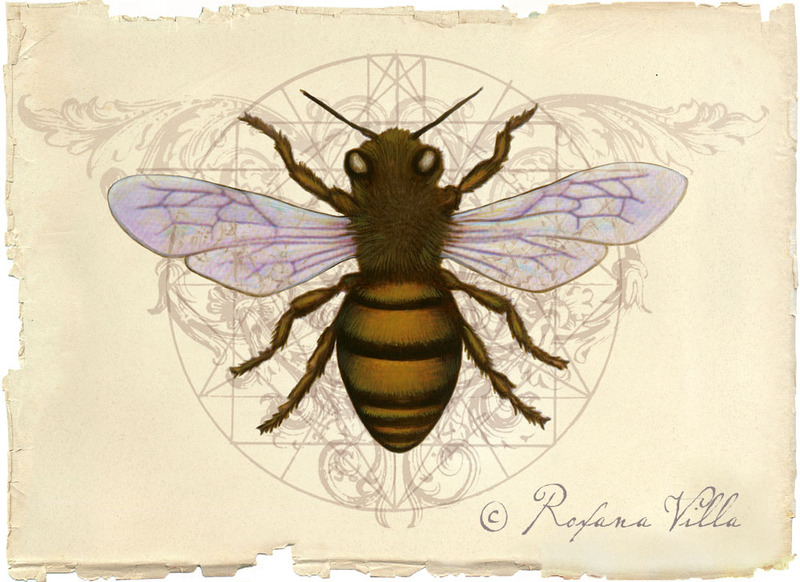 I'm working on an edition of prints based on the bee image I did back in August for the Bee Here Now blogging event. 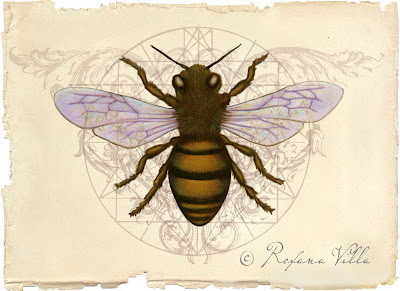 The bee image began first as an acrylic painting on gessoed board done in the same process as my illustration work. Once the painting was finished I scanned it and began to add layers in photoshop. 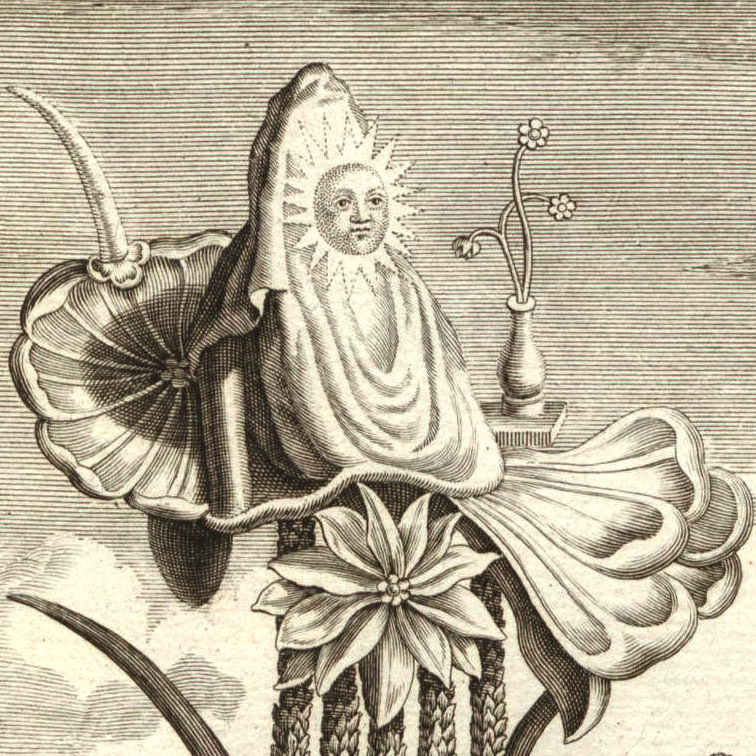 The new image was recreated from scratch beginning with the original scanned image. This time, conscious that these would be high resolution prints, the image was created much larger. I also changed the parchment paper layer and Victorian embellishments. The challenge with having it ready today is that our Epson printer has decided it does not like to print on the real fine Arches water color paper I purchased for this project. Since today is a national holiday, heading out to buy some high grade Epson paper is regrettably not an option. Sigh...thus we will have to wait until Tuesday for the edition of prints. In the meantime I invite you to enjoy the sweet nectar my fellow teamies have crafted for you from their own hands. 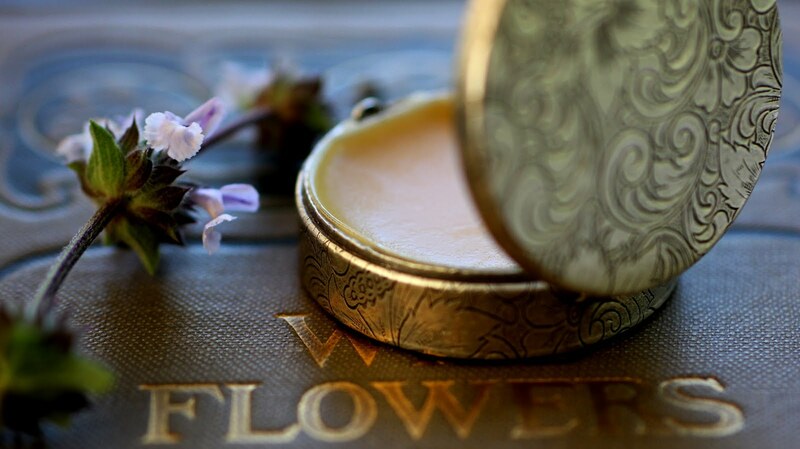 Yesterdays Blog it Forward Bee Up was by Estella on her Star of the East blog, tomorrows will be by fellow compatriot Irene of Aroluna posting from her blog. Many thanks to the Artisan Gallery Team for their support, I am humbled by their contributions and generous spirits. Your wooden shelf collage is breathtaking! What a lovely post. This series is so provocative- thanks for organizing it! Love the collage box, too. What a wonderful way to use our creativity to bring awareness to the precarious balance necessary for life on our earth. A beautiful and poignant post. I do love your collage image, very clever, I am thrilled to be included, thank you! Thanks for stopping by. Making the collage was fun, has a little Joseph Cornell feel to it doesn't it? Irene, I do hope you come across those pamphlets, they sound fantastic! Thanks for stopping by Kim, your honey drainer antique print was perfect for the collage.